East was not the first to commit planticide with this song. It was a cover of one by a group called Jigsaw from Australia (not to be confused with the British act Jigsaw who would have a hit with ‘Sky High’ in 1976 on the Springbok Radio top 20). 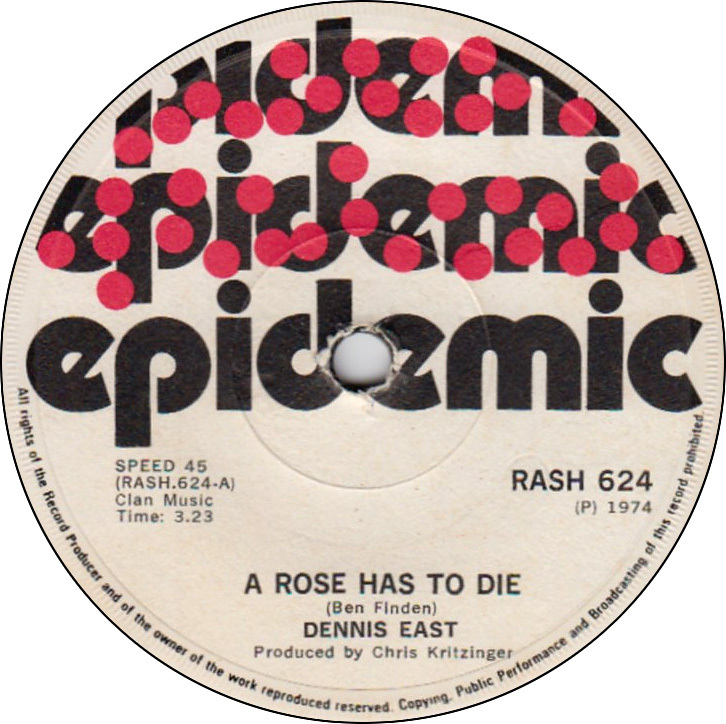 But it was East’s 1974 version of ‘A Rose Has To Die’ that we took to, sending the song to number 6 on our charts. The song is a pleasant pop track which revolves around lost love and infidelity. ‘A rose has to die/every time you tell a lie’ East tells us in this tale of a summer love that turns sour as the leaves of autumn arrive. There is a jaunty strings track accompanying East’s pleasant vocals and this make the song more poppy than the Jigsaw version which sounds more Country & Western. In 1978 English group The Dooleys took a version to number 11 in the UK and the song seems to have gained some cult status as there is even a line dance video to a version of the track to be found on Youtube. But while some may line dance to the song, we can sit back and enjoy our very own Dennis East version. East has taken a number of different musical directions during his career, but with this one, he had one of his biggest hits. A slight correction John. The Dooleys are often assumed to be Irish because they were a large family group but they actually hailed from Essex. Thanks Mike. I’ve now corrected the post.